The ULTRASONIC ROCK ORCHESTRA Presents Three Unique Shows Friday-Sunday echoing the iconic music heard 50 years ago and still reverberating throughout the world today. 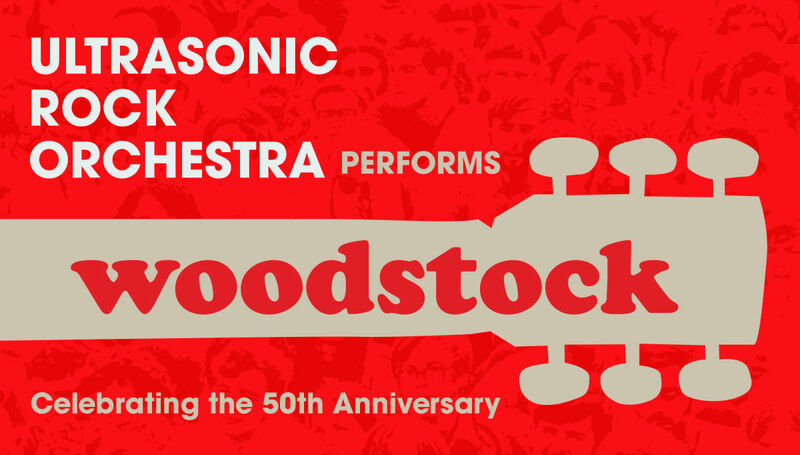 To celebrate the 50th Anniversary of Woodstock, the biggest concert event in history, The Greenwich Odeum presents 3 days of Peace & Music with the 15 piece Ultrasonic Rock Orchestra. Load up the VW Van and head to the Odeum for the weekend! Come for one night or all three with the discounted bundle! On Friday night, you'll hear the best songs spanning the 3 day Woodstock festival! On Saturday night, you'll hear the artists from the Saturday Woodstock festival 50 years ago including Santana, Grateful Dead, Creedence Clearwater Revival, and Canned Heat. For Woodstock Sunday, Ultrasonic Rock Orchestra will recreate the music of The Who, Jefferson Airplane, Joe Cocker, Janis Joplin, Sly and the Family Stone, Jimi Hendrix, and Crosby, Stills, Nash (and Young). Come for one night or all three for the full Woodstock experience!